BBC NEWS | Have Your Say | Hassled by housing? The Truth About Property, a new BBC2 Series for the Autumn, would like to hear how your lives have been affected by the property market. The average price for a new home reached £260,832 in May, exceeding all previous records. The finances of first-time home buyers are being stretched to record levels. With interest rates now at 5.5%, many home owners will be facing higher mortgage repayments, while credit card debts may also cost more. It's been predicted that UK house prices could rise to the equivalent of 10 times the average salary by 2026. Do you feel excluded from owning a property? What could be done to make homes more affordable? 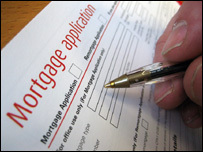 Is paying the mortgage becoming more difficult? Could you lose your home if interest rates continue to go up? What are the alternatives? Thank you for your comments. We are no longer looking for contributors.